Are you unhappy with the appearance of your teeth? Do you have chipped, cracked, worn or even misaligned teeth? You don't always have to go down the route of crowns or braces. Veneers might be the right option for you! Veneers can fix a number of flaws such as cracks, chips, wear, discolouration, uneven and even gapped teeth. Porcelain veneers are thin porcelain shells. They bond to the front surface of your teeth. When preparing your teeth, your dentist will take a 3D scan of your teeth. This scan will be sent to the dental lab to enable them to make your veneer so it fits your tooth properly. Your dentist will check the shade of your teeth at the first appointment. They will check you are happy with the chosen colour of your veneer. Any whitening should be done before this stage. 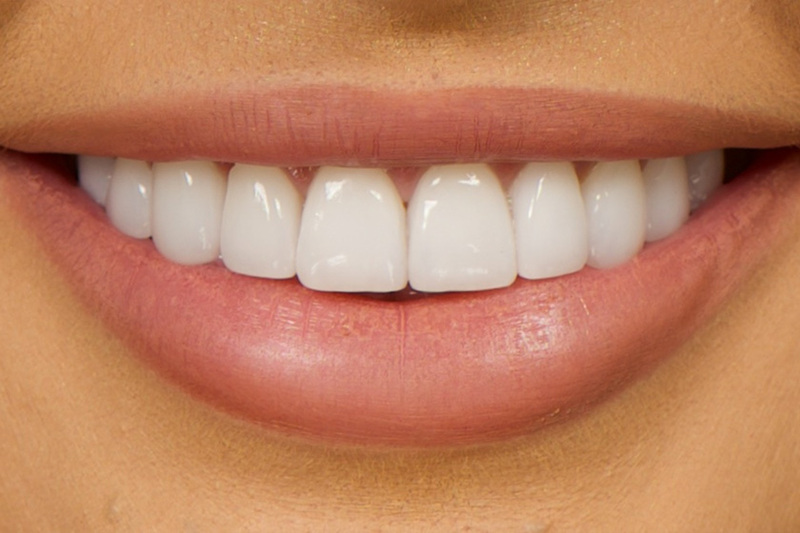 Since veneers are custom made, they are perfectly shaped to complete your smile and match the colour of your teeth. At your second appointment with your dentist. They will fit the veneer for you. This is glued to the tooth using a special adhesive and set with a blue light. What’s good about porcelain veneers? Cover any flaws in the teeth. Can make your teeth whiter. Changes the shape of your tooth. More expensive than composite veneers. Natural tooth will be damaged during preparation. Made in a lab so you will require more than one appointment. Will not change colour with whitening. Will the preparation appointment hurt? Not really. Your dentist will only remove a small layer of enamel to prepare the teeth. This can be done without any anesthetic but if the dentist is working close to the gumline or you have sensitive teeth, they may advise using anesthetic for your comfort. You can whiten your teeth, however, the veneer will not whiten. Any resoratation that is added to your teeth will not change colour with whitening gel. If you are having any treatments such as fillings, veneers, crowns or bridges we would advise you to whiten your teeth first so we can match the restoration to the colour of your teeth, not the other way around. Porcelain veneers will not last a lifetime. However, if they are looked after properly they can last 10-15 years. How much can I expect to pay for Porcelain veneers? Porcelain veneers can start from £622.00 per tooth.